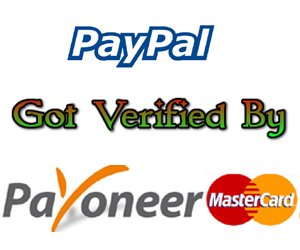 Usman, simply go to paypal sing up page & create, to varify & withdrew money from paypal you will need master card so first apply and wait for payoneer card to reach. Hassan, make sure you have typed correct password, if you face any difficulties then contact the Payoneer customer support. Which country should i choose while signing up for paypal? Usama, choose USA as country for Paypal. Mannan, Abhi payoener say paypal verify nahi horaha.